Renewable energy resources accounted for about 28.1 percent of New York’s electricity generation in 2017, according to a Feb. 7 report from the New York State Energy Research and Development Authority, analyzing progress toward the Clean Energy Standard which requires half the state’s electricity to come from renewable energy by 2030. The 28.1 percent contribution from renewable resources represents a 2.2 percent increase from the 2014 baseline of 25.9 percent under the Clean Energy Standard. 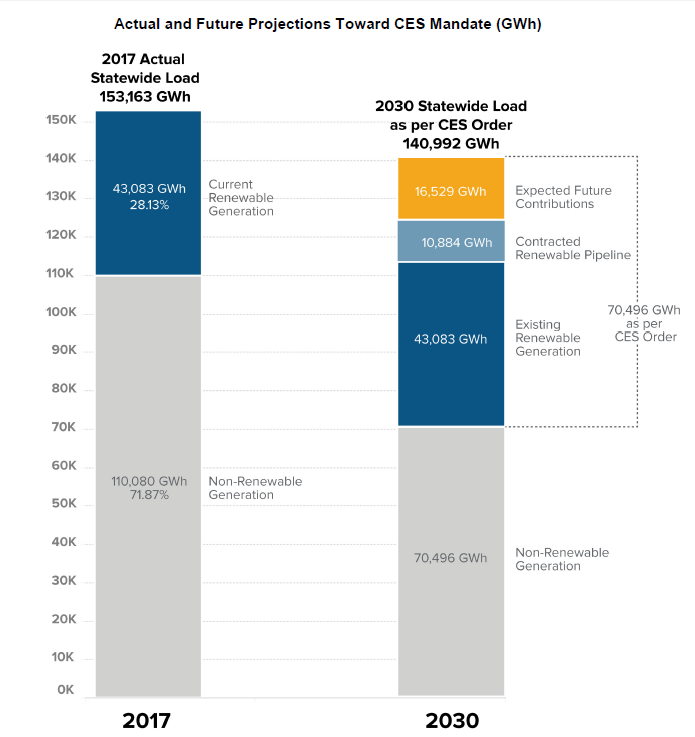 Annual solicitations for new renewables, solar incentive programs, and other procurement activities have resulted in a contracted pipeline of more than 10,000 gigawatt-hours of renewable generation projects. NYSERDA issued the state’s first solicitation for large-scale renewables in 2017 and the second in 2018. The agency launched the state’s offshore wind solicitation in November 2018, seeking 800 megawatts or more of new projects in pursuit of the state’s goal of 2.4 gigawatts of offshore wind energy by 2030.